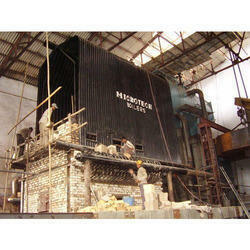 Prominent & Leading Manufacturer from Ahmedabad, we offer solid fuel water tube boiler and water tube boilers. The Solid Fuel Water Tube Boiler, offered by us, is designed with water tube to operate even on fuel that has high fouling tendency. Our Solid Fuel Water Tube Boiler can be used for generating saturated steam as well as superheated steam. Solid Fuel Water Tube Boiler is an ideal choice for Coal, Lignite, Palm Shell, Ground Nut Shell, Coffee Husk, Rice Husk, Saw Dust and DOC etc. Our offered Water Tube Boilers are a form of boiler in which steam is generated by circulating water through tubes exposed to the source of heat. This provides maximum steam pressure with a bi drum water tube design that has proven performance and reliability. Additionally, the overall water holding capacity is high and the boiler responds quickly to sudden peak load steam demands. 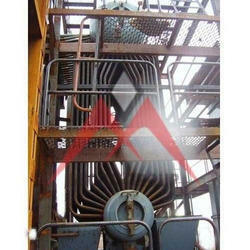 Option of Dual Block burner with Extra Combustion Air Pre Heater is available for the further heat recovery.